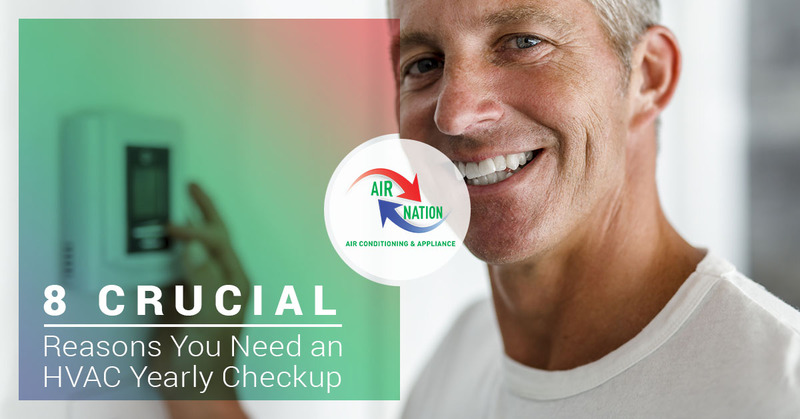 Your HVAC system is efficiently tucked away so it is mostly out of sight, out of mind, and if your system has been running just fine, you probably haven’t given much thought to an annual checkup. It is when you are left with a frigid house when you wish you would have scheduled an appointment with your local HVAC company! Autumn isn’t much of a season in Florida, but we do see cooler weather and the occasional need for heat! At Air Nation, whether you use your HVAC for heating in over the cooler months has yet to be seen, but we want your home to be prepared for whatever may come! Join us in today’s post as we examine why a yearly checkup on your HVAC is so crucial. Now is the time for your annual HVAC checkup! In the fall and winter months, we rely on our HVAC for heating so its use can be much heavier, which is why at the beginning of autumn is a great time for an HVAC inspection. But why is it so important? Find out below! The worst time to have your HVAC go out is when you need it most — on a chilly autumn morning or in the middle of one of Florida’s cold bursts! Not only are you uncomfortable, but now you have to shell out your time and money to have an HVAC technician come to your home and address the issue, not to mention it would be the time they have to order certain parts which leave you out in the cold — literally — even longer! If you have a relatively new HVAC system it could still be under the manufacturer’s warranty, so do yourself a favor and double check if it is. If you are still under warranty, a yearly HVAC service helps protect it and save you costly repairs and replacement parts if something does happen. It is best to keep receipts and record of your annual HVAC services so you can have them handy if needed. We can handle a lot as fellow Floridians — hurricanes and monsoon-like rain — but when it comes to being cold, we just can’t! If you are noticing that your HVAC isn’t heating every room as it once did and there are big temperature swings from one side to another, this may indicate an HVAC issue. A yearly checkup can diagnose problems like this and keep you more comfortable in the cooler months. 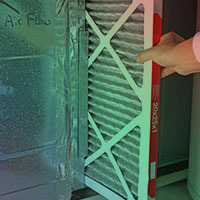 Did you know that keeping your HVAC in tip-top shape also protects the rest of your home? After a long summer of running the AC and wear and tear over time, things can happen. Perhaps an AC pump has been damaged and gets blocked and causes the drain pan to overflow — this only leads to one thing, water damage. It is important to catch this and get it addresses before you begin running your heat. Your HVAC involves oil and gas lines, which can be a huge home hazard if there is an issue. From gas leaks to faulty electrical, don’t put your home or family at risk. In Florida, your HVAC see a lot of wear and tear from a long season of running the AC to intermittent bouts of heat in the winter — help prolong its life with HVAC cleanings and services every year. When it gets proper attention and you address things like blockages, cleaning the coils, replace filters, and lubricate the parts, it is much more functional and can go on to provide heating and cooling in your home much longer. You don’t notice when your HVAC is running optimally because your home is safe and comfortable, but it is when it malfunctions and isn’t heating your home properly that you notice. We know you have a long to-do list of homeowner responsibilities, but an HVAC checkup this fall is a must! To schedule an HVAC service, schedule an appointment with us today.